As with the North Coast (NCS), Central Coast (CCS), and Sac-Joaquin Sections (SJS), 3 athletes from the Central Section qualify to the California State Track and Field meet unless you can surpass the 2018 At-Large Time Standards at your section final. 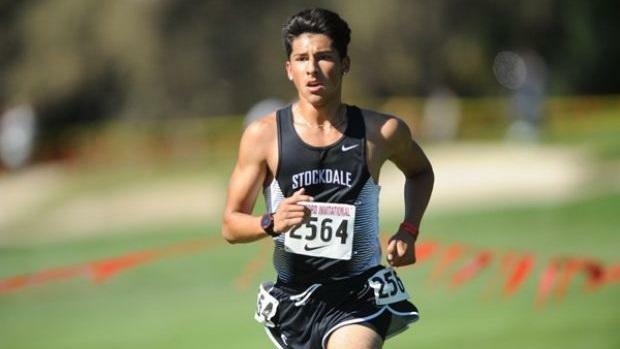 This section has flown under the radar but when you look at past state meet results in both cross country and track and field, it's very clear that some of the best Track and Field athletes (like Stockdale junior Marcus Mota above) in our state history have come out of this section. For the PRs listed below, all times and marks are wind legal. It's possible I could have missed an athlete or two so please chime in the comment section below on those athletes.